Most people say they drink because it makes them feel relaxed, confident and sociable. This is because alcohol is a depressant which slows down the brain and nervous system, reducing feelings of anxiety and shyness. You can find out more about the effects of alcohol on the Talk to Frank website (opens an external link). Other people say they drink to escape from personal problems, but this may be stopping them from finding a real answer to their issues – eventually long-term alcohol abuse may become another problem. 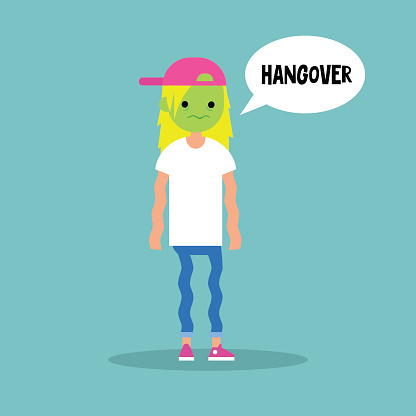 hangovers making you feel sick, tired, dehydrated and depressed. addiction - relying on alcohol and feeling bad without it. serious illnesses like liver damage, stomach cancer and heart disease. overdosing - this could put you in a coma or even kill you. Alcoholic drinks have different strengths, measured in units. One unit is about the amount of alcohol in half a pint of beer, lager or cider. It’s also equal to a single measure of vodka or whiskey. If you find someone who is alone, very drunk and having difficulty staying awake, don’t leave them - lie them on their side so they don’t choke if they vomit. Tolerance means your body’s resistance to alcohol – people who drink a lot might have more tolerance than people who don’t – so the effects of alcohol can be greater in people who drink less. Mixing alcohol with other drugs like painkillers can be very unsafe, as you don’t know how your body will react. Taking a drug like a depressant with alcohol (also a depressant) can slow down your brain and body functions to dangerous levels. It isn’t against the law to drink alcohol, unlike drugs – but it can still affect your health like other drugs, and be just as addictive. YES Bus - The Youth Enquiry Service (YES) Bus is a mobile youth club that parks in various locations around Richmond and Kingston offering information, advice and someone you can talk to.